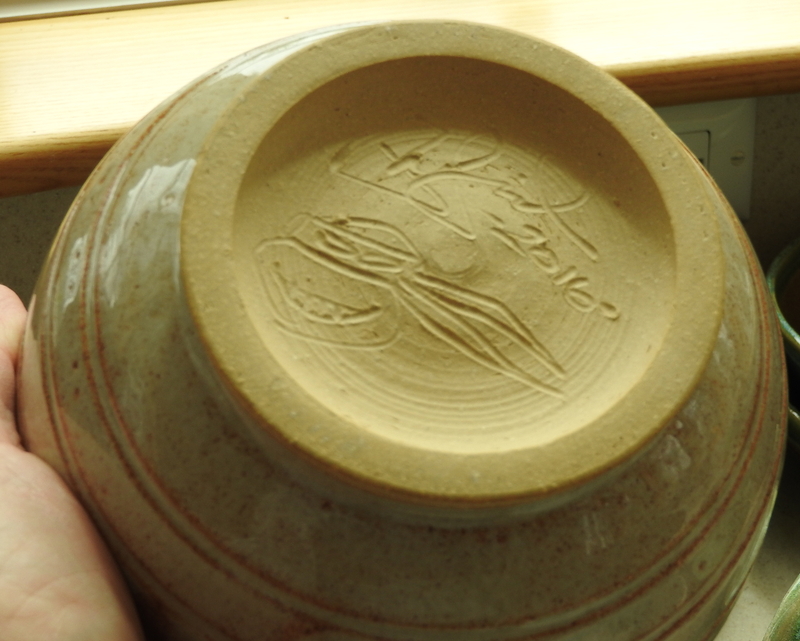 I haven't been drawing much in recent years, and the pottery has been a great creative outlet for me. I've enjoyed it immensely. Some friends and family members have dropped hints since I got back into doing ceramics that they wouldn't mind having a piece or two. That's flattering, and I have let one or two pots go, but I have to confess that I am kind of stingy with them -- I want to keep them all! 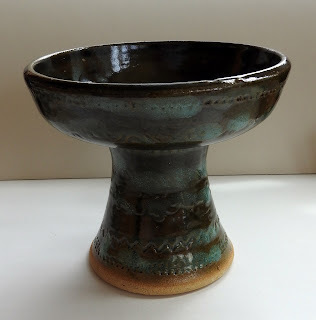 But I decided that for Free Comic Book Day this year at Steve Lavigne's "Shellback Artworks" store in Wells, Maine on Saturday, May 7, I would donate a couple of pots for a raffle. One of them is from that first year -- 2012 -- that I got back into pottery, and the other one is from my most recent class in 2016. The piece from 2012 is a kind of goblet, although one more suited to eating something like fruit salad or ice cream than having a drink from. The goblet form was one I had a lot of fun making in that long-ago class in college, and I had to try my hand at it again in TIffany's studio. On this particular piece, I also used some rolling-bead texturing tools I'd made to add some funky textures. This one measures about five inches tall and five and a quarter inches wide at the top. 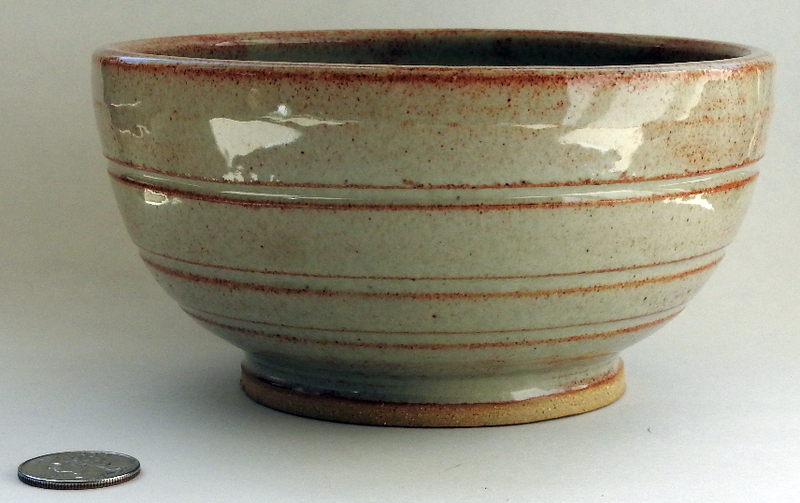 The second pot I will be bringing to Shellback is this bowl from the most recent class I took in 2016. 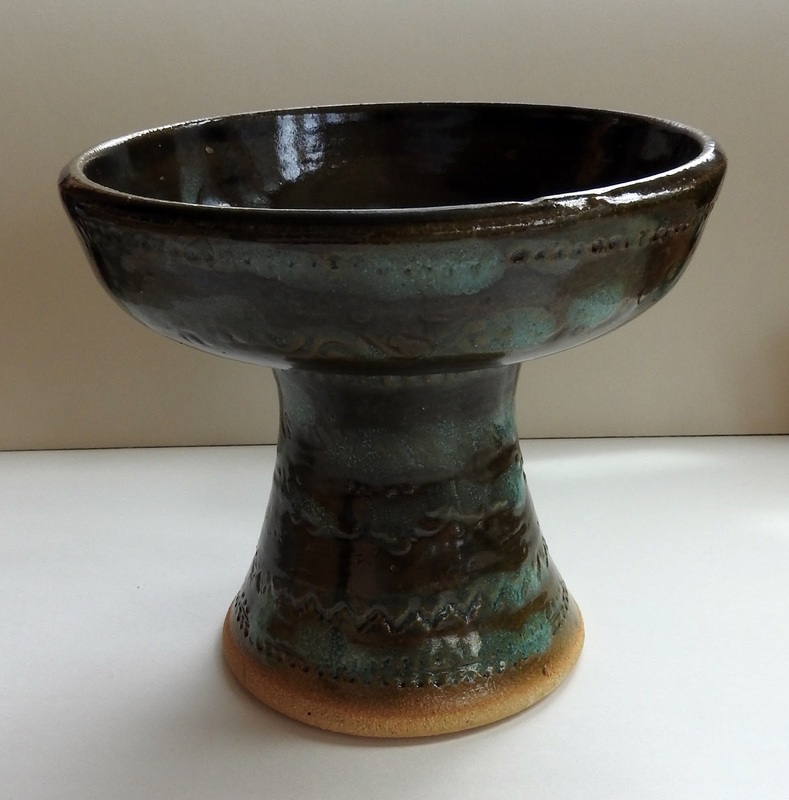 It measures about three inches high and six inches wide at the top. 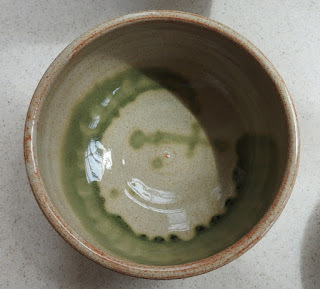 Here's a top view of this bowl which shows the slash of olive green glaze I used to decorate the inside. TMNT fans might be interested to know that in signing each piece before they were fired, I included with my signature a small Turtle head sketch, as seen in this example below. I did some pot throwing back in high school and I know how difficult it can be, but also how rewarding! Nice work on these pieces! I especially like the texture rings around the outside of the 2016 bowl. Hi Peter, are you interested in doing any TMNT commissions for FCBD? If interested, I could Paypal you the payment and pick it up Saturday? Very nice! How long it took you to master that machine potters use for make vases and bowls? I especially like the texture rings around the outside of the 2016 bowl.